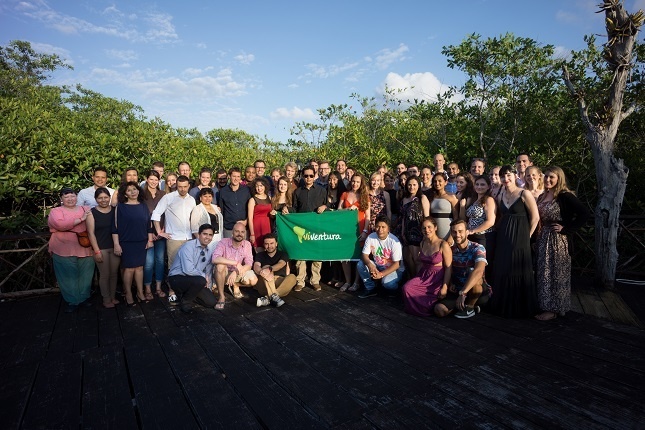 Ventura Travel, with its brands viventura and puraventura, travel providers for South and Central America, puts all emphasis on digitization. For this reason, it was important for us to take part in a campaign of the Chamber of Industry and Commerce (IHK), called WE DO DIGITAL. We now proudly announce that we are one of the 36 winners from all of Germany. Ventura TRAVEL is nation-wide winner. 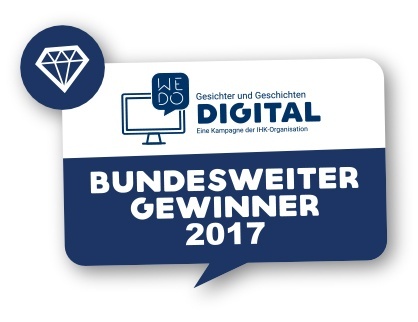 36 economic success stories: The IHK organization has set out implementation examples for digital change in the nationwide campaign "We do digital". The 36 success stories come from a wide range of industries and show a variety of approaches to how to master digital change. The official award ceremony took place on June 15, 2017 at the G20 Young Entrepreneur Summit in Berlin and we took part in it with our brand viventura. This event was organized by the "Wirtschaftsjunioren Deutschland" (WJD) under the heading "Digital Trends for Future Business" in the House of the German Economy in Berlin. About 400 young entrepreneurs from the most important industrialized and newly industrialized countries discussed the future of digitization. 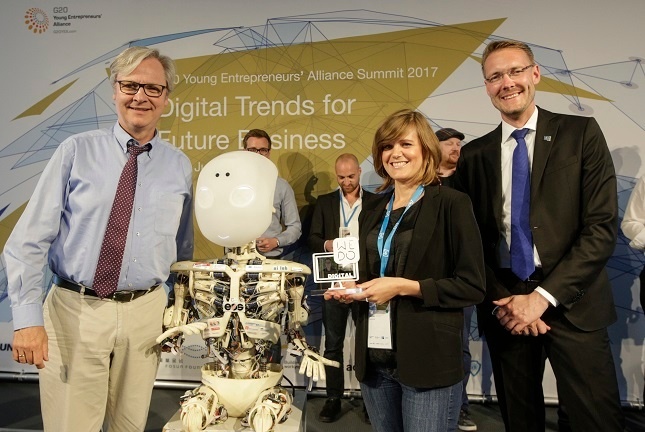 "The digital world offers great opportunities," said Martin Wansleben, the chief executive of the German Chamber of Industry and Commerce (DIHK), who honored the nationwide WE DO DIGITAL winners. "Only if we take these resolutely, we gain our competitiveness." In all industries, small and medium-sized enterprises are often faced with the challenge of digitization. "All the more, I am pleased that many entrepreneurs have already adopted the digital world into their businesses." After receiving the WE DO DIGITAL award all winners came together for a picture. viventura is Germany's leading specialist for round trips in South America and stands for innovative travel ideas, responsible tourism and a very personal contact with its customers. Since the company was founded in 2001, we have been focusing on digital. Everything is running online: marketing of our trips and products, internal communication between viventura colleagues in Berlin and South America as well as the booking of the trips by our customers on the viventura homepage. viventura stands for innovation and wins the WE DO DIGITAL Award. viventura stands for innovation. There is no stagnation, our company is constantly looking out for new ideas in the travel industry - always with the aim in mind to enable the best possible travel experience for our customers and to make viventura an exceptional workplace. And so it came about that viventura was part of the G20-young entrepreneurs summit. 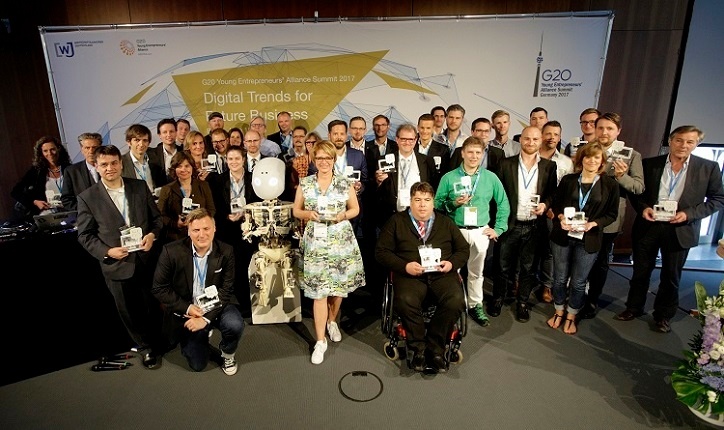 In addition to interesting lectures on the subject of digitization, like digital trends for future business, big data or augmented and virtual reality, we were able to receive our award at the WE DO DIGITAL ceremony and were invited for a group photo. At the evening reception, there was enough time to network with young entrepreneurs from all over the world and let the exciting day come to an end. Ventura TRAVEL marketing specialist Hester receives the WE DO DIGITAL Award. Posted Jul 20, 2017 10:54:48 AM by hester .